Throughout life, we will always come across situations that will require us to relocate. Whether it’s due to a new job opportunity or a change in one’s situation. However, for CNAs, this isn’t exactly an easy task. Our certification and licensing is state specific. So, when life requires a change, the first thing a CNA must due is recertify in another state before they can start working there. The process of transferring your certification can be a little tricky at times and depending on the state, may require you to do extra steps. For a CNA looking to transfer to another state, there are only two options. Either they are moving to a state that shares reciprocity or they will have to retake the CNA test and recertify in that particular state. Because each state is different, you will have to visit the official website of your future state, and figure out which path you will need to follow. There are some states that have reciprocity with each other. Reciprocity refers to a process whereby an already qualified nursing aide is able to transfer their CNA certificate to another state mostly for purposes of employment. As such, states that have reciprocity will approve your license from the state you come from; the same way they would have, had it come from their state. Therefore, your license is equated to reflect an equal status as the new state and hence there is no need for you to take another state exam. However, if you aren’t going to a state that accepts your current state’s reciprocity, then you may have to retake the CNA exam, regardless of the amount of working years you already have. 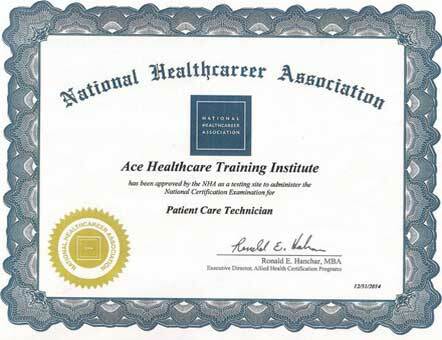 Note that, to qualify for reciprocity you must already be a certified nursing aid in your current state. Beware that the FBI background check takes up most of the time with the whole check lasting for four to eight weeks. Some states will allow you to take up employment as you await your CNA license transfer. You are also allowed to work in both states in hourly shifts not exceeding three hours at a time. To meet your state requirements. As stated earlier not all states have reciprocity for CNA licensure. As such if you are intending to do CNA license transfer to one of these states, you have no option but to take that state’s CNA test and practical exam. To transfer CNA license and sit for the transfer states licensing exam you may be forced to take additional courses. It is wise for you to personally contact the licensing authority found through Nursing Aide Registry to confirm on the necessary details since what is on the state websites may not always be updated on current details. Did you find any info? Moving from IL to NC. I have been here for 3 hours trying to get a form for endorsement application for VA without success. Does anyone know how I can get the form.